The themes and styles applied in slot machines make the gaming experience more fun and appealing to players. Halloween themed slots are the second on the list of significant season-themed slots. These slots have themes, graphics, and styles based on the Halloween holiday. Some of the big slot game developers have engaged their productions in the development of such slots including Net Entertainment, Rival Gaming, Microgaming, NextGen Gaming, Betsoft, and Play’N Go. Each developer adds a special touch of the holiday to each slot making it unique from all others. 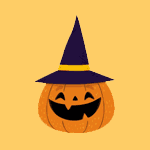 The Halloween themed slots have features, symbols, and styles based on the Halloween holiday. Therefore, instead of Aces, Jacks, Kings or Queens, they are mostly made of iconic features such skeletons, Frankenstein, pumpkins, candy, and vampires. In some games, there is the trick or treat featured theme while in others, one has to get a bonus combination of skeleton themed keys to earn more free spins. In the Halloween themed slots, some of the symbols have realistic features while others have a cartoon and animated styles. Most of the Halloween slots have similar icons; the only difference is that some might be of better quality than others while some have slight changes in the graphics. Odd symbols– They include scary characters like vampires, werewolves, skeletons, coffins, and ghosts. These stand in for standard symbols like the Ace, Jack, Queen and King cards, and the most appealing ones to the specific game’s storylines become the scatter and wild symbols. Halloween related theme storylines – These slot games tend to follow stories that are a little bit scary and thrilling. An example is Psycho, a NextGen production, which is a story based on Norman Bates’ motel at some stage in a creepy, dark and rainy night. Adding lightning bolts is a move that makes Bates appear out of the blues and slice the reels with a sharp looking knife. The atmosphere – In most of the Halloween slots, the atmosphere tends to be scary, with highly pitched, smooth, and slightly eerie-like sounds accompanying the play. In others, thunder, lightning, and rain tag along bringing in an almost frightening atmosphere. Graphics and styles – The Halloween slots have graphics that are tailored to the aspects of the real holiday. Most of the games have dark colors, sharply featured drawings and odd calligraphy which are used to enhance the Halloween theme. The features of the Halloween slots get emphasized by various producers with the attempt to favor the gamers who fancy Halloween. In some cases, the thrilling experiences achieved make new gamblers come back for a second round. Pumpkin Smash. This slot game has a bonus feature whereby a smash of many pumpkins could get the player winning up to 30 free spins, 375 times multiplier and a seven-times multiplier of the single symbol spins. There are five symbols in the free spin bonus feature that make the player gain more jackpot rewards when hit. Pumpkin Tree – It can multiply a win up to twenty times. Unique Reels– This includes the biker symbol representing a biker who is capable of removing all playing cards of low value and bringing higher value symbols in the next spin. Mega Wild – It is a wild symbol with a three times multiplier that drops on the reels. Random Wild – It is a feature whereby when activated; six wild symbols can get selected and further added to the reels. Spinning more than three free rounds triggers the free spin bonus while activating more bonus symbols starts a Full Moon feature that has a multiplier of 800 times. Several other Halloween slots with amazing jackpots include Immortal Romance, Fortunes of the Dead and Halloween. Halloween Fortune – a game which involves a Witches bonus spin in which a particular portion is played around to gain more rewards. Goblin’s Cave – in this game, funky Goblins get to be spun around while gaining rewards and bonuses. The other game is The Mummy; they are all available in Bet365 Casino, Euro Grand Casino, and Winner Casino. The Trick or Treat slot- It is a three reel slot where each spin has its jackpot rewards. Matching three pumpkins in a row earns the player coins that run from 1000 to 4000. Boogie Monsters – It has 40 pay lines and a total of 13 free spins. It also has a Bat finding bonus which earns one extra time for the play. Others include Halloweenies and Witches Wealth and are available at Royal Vegas Casino and 32 Red Casino. In the recent past, themes and graphics of slots have been the primary focus for most of the slot game providers with the aim of impressing their customers and improving the quality of their games. Halloween slots have gained popularity in the recent past because of the growing popularity of the Halloween holiday. The thrilling experiences and amazing jackpots they provide are also great for the gamers.